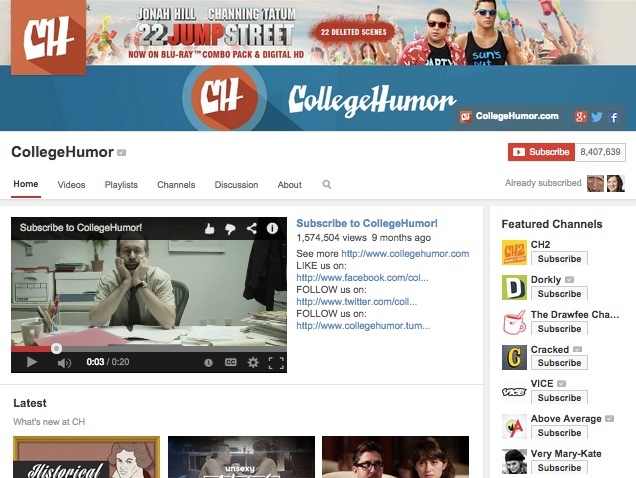 Your YouTube Channel Page is the Home page for your personal or business's YouTube account. It features your videos, playlists, videos you have favorited, your activity stream and it's also tied to Google+ (G+) for comments, hangouts and other social networking features. This is where your audience, and potential customers, will find you and subscribe to your videos on YouTube. Channel Pages are spidered by search engines and can rank in organic search. Username links are dofollow to your Channel Page, allowing link juice to flow to them. YouTube accounts are linked to Google+ pages. Your page and channel will display the same name and photo, any public videos will appear on both YouTube and G+. Anyone designated to manage your G+ page will be able to manage your YouTube page as well.